I am just beginning to learn psychology and came across concept of split brain. 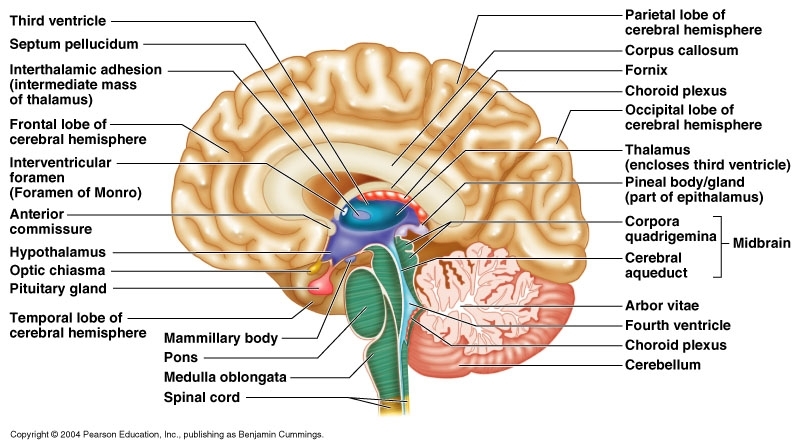 I was wondering if a person has only left eye working and has their corpus callosum cut, would they be effectively blind since the left brain won't receive any visual stimuli? 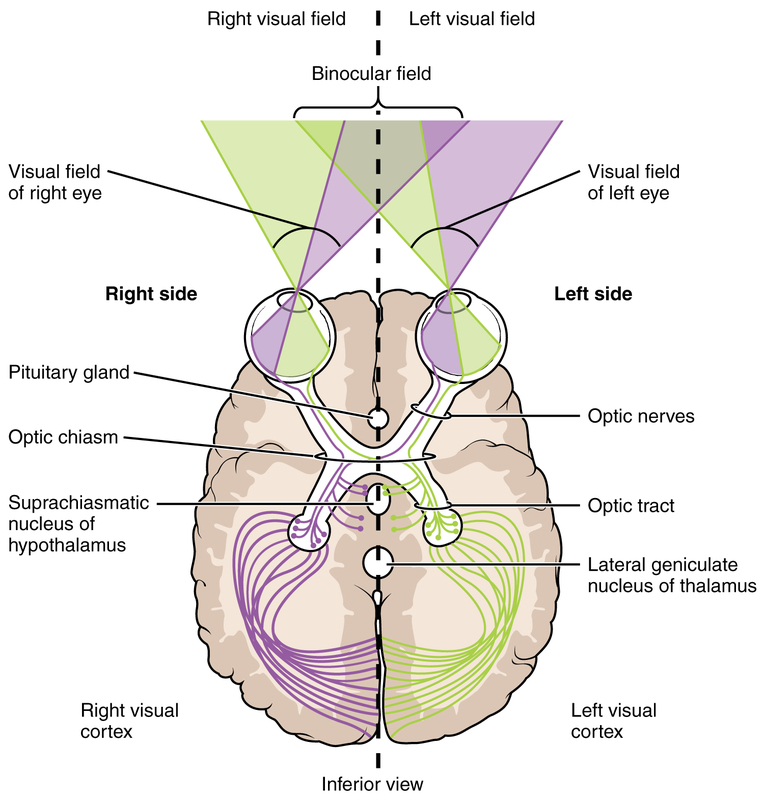 Both eyes project to both hemispheres; the left visual hemifield of both eyes is projected to the left hemisphere, the right hemifield to the right. [I]f a person has only [functionality in the] left eye[,] and [..]their corpus callosum [is severed], would they be effectively blind[,] since the left brain won't receive any visual stimuli? ...can be answered with no, as both eyes will still transmit their input to the visual centers in the brain (Fig. 1). In fact, when one eye is not functional, the fieldof view will still be nearly complete, as both hemifields of the one remaining retina is projected to both cortices (Fig. 2). The function that is effectively lost when there is only one eye left, is depth perception; the use of both eyes, and the fact that they are slightly offset, allows us to see depth, using binocular vision through a process referred to as binocular disparity. Not the answer you're looking for? Browse other questions tagged neuroscience perception vision neurophysiology neuroanatomy or ask your own question.